Today’s fast lives depend highly on fast food, readily available beverages so that people don’t have to take time out of their busy lives to cook and eat. These are all on-the-go, time-saving, hunger-pangs satisfying kind of food. But what people ignore is the ability of these foods and drinks to damage body functions in the long run. Liver being the first organ to process these foods, right from breaking down food to consume essential nutrients to maintaining metabolism, removing metabolic waste, fat content, digest food, regulate cholesterol to name a few. 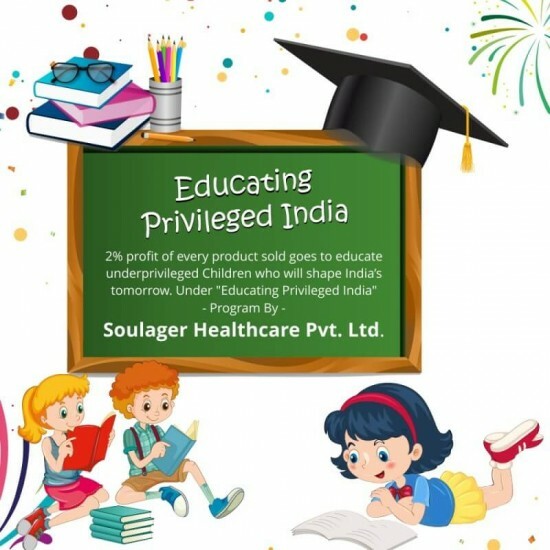 So it is vital to keep liver healthy. 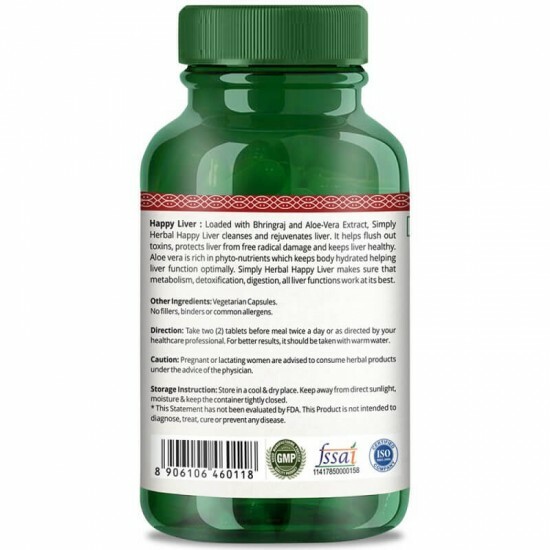 Why Is Simply Herbal Happy Liver Best? 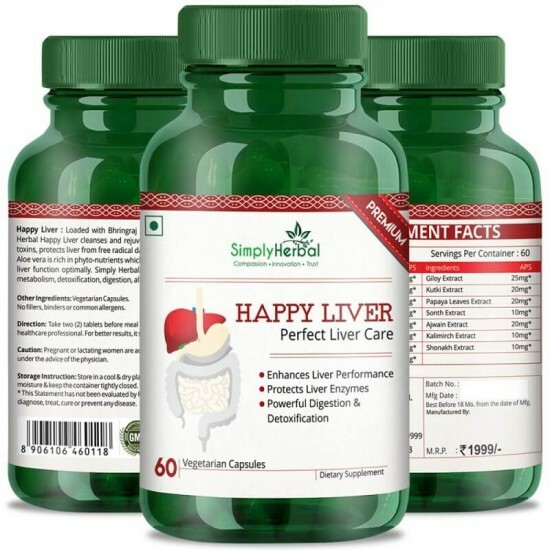 Loaded with Bhringraj and Aloe-Vera Extract, Simply Herbal Happy Liver cleanses and rejuvenates liver. 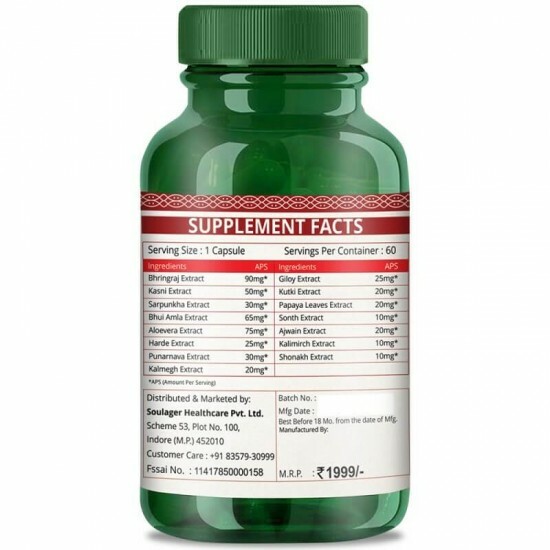 It helps flush out toxins, protects the liver from free radical damage and keeps liver healthy. Aloe vera is rich in phytonutrients which keeps body hydrated helping liver function optimally. 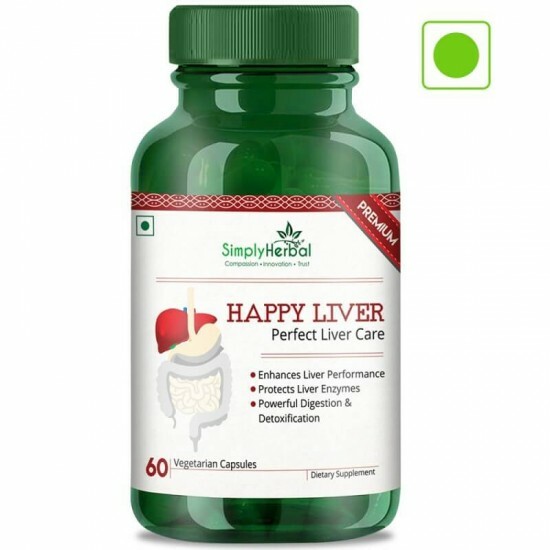 Simply Herbal Happy Liver makes sure that metabolism, detoxification, digestion, all liver functions work at its best.